In Alpha Insurance A/S v Roche & Anor  EWHC 1342 (QB) Mrs Justice Yip found that the circuit judge should have allowed a claim of fundamental dishonesty to be heard. She allowed an appeal and held that the court should determine the issue of fundamental dishonesty alleged by the defendant. Two claimants brought an action for personal injury, the claimant driver and her 13 year old son. The defendant admitted liability but its case was that the son was not in the car. The matter was listed for hearing but the claimants discontinued the day before the trial. There was no explanation for the discontinuance. The defendant asked that the matter stay in the list and asked that the issue of fundamental dishonesty be determined. The circuit judge refused the defendant’s application. The defendant appealed. The relevant sub-section does not require exceptionality. This may be contrasted with sub-section (b) which applies where proceedings have been settled rather than discontinued, where it is expressly provided that the court will not order that issues arising out of an allegation that the claim was fundamentally dishonest be determined “save in exceptional circumstances”. The distinction highlights that “exceptional circumstances” are not required for directions to be given under sub-section (c). However, this appears to be the basis upon which the judge exercised his discretion. Mr Dawes, who appeared for the respondent before me but did not appear below, fairly acknowledged that the suggestion that there was a need for something exceptional appears to have been introduced by Counsel for the claimants. The judge, who was dealing with the application in a busy list, may therefore have been misled. The correct approach is to regard the discretion under CPR 44PD 12.4(c) as an unfettered one, requiring the weighing of all relevant considerations in accordance with the overriding objective. Mrs Justice Yip then went on to consider the appropriate test and how it should be applied to the facts of this case. I do not agree with the suggestion put forward by the appellant that the test for determining whether to grant a defendant’s application under CPR 44PD 12.4(c) should be analogous to the test for an application for summary judgment under CPR 24.2. The suggestion that a claimant would have to show that there was no real prospect of the allegation of fundamentally dishonesty succeeding and/or show compelling reasons why the allegation should not be pursued just does not fit with the wording of the Practice Direction. There is no presumption that the court should generally direct determination of the issues of fundamental dishonesty nor is there any presumption that the court should generally not make such a direction. In other words, giving such a direction should be seen to be neither routine nor exceptional. The provision has been introduced expressly to allow issues of fundamental dishonesty to be determined after discontinuance. Inevitably, this involves the allocation of further court resources to a case in which the claim is no longer being pursued. It will not be uncommon for such cases to involve relatively modest costs. However, in considering proportionality, it does need to be recognised that there is a public interest in identifying false claims and in claimants who pursue such claims being required to meet the costs of the litigation. Each case will depend on its own facts. This is an area in which judges sitting at first instance must be afforded a wide margin of appreciation. Provided that the judge has weighed the relevant considerations, an appeal court will not interfere merely because it might have arrived at the opposite conclusion. Appeals against discretionary decisions as to whether it is appropriate for issues relating to fundamental dishonesty to be determined are not to be encouraged. However, in this instance, the judge having applied the wrong test, I must exercise the discretion afresh. The second claimant was 13 years old at the time of the accident. He will shortly be 16. The first claimant is his mother. The accident happened in a car park. It involved a minor collision. 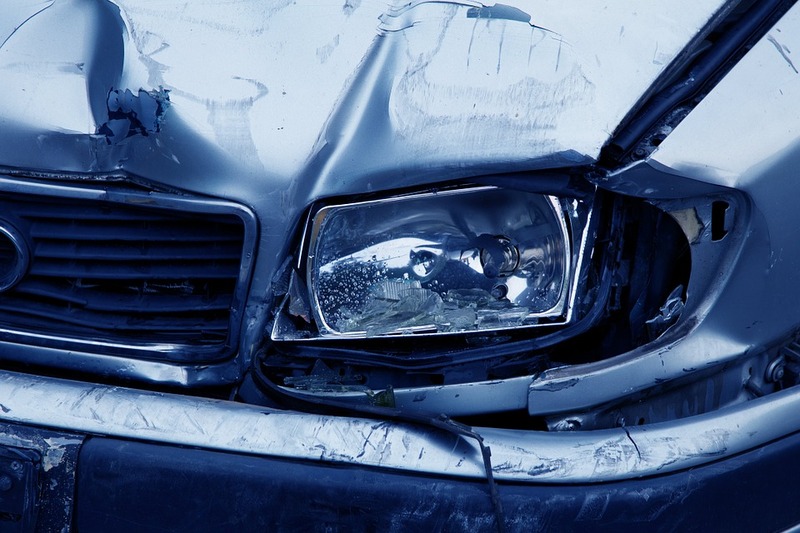 Both claimants claimed to have suffered modest whiplash injuries. Medical reports were served from Dr Michael Rosen. Those medical reports were unremarkable. There does not appear to be anything unusual such as would arouse suspicion within the claimants’ case. However, it is the defendant’s case that the second claimant was not in the vehicle when the accident happened. This is a serious allegation since it involves the suggestion that the first claimant has encouraged her young son to bring a false claim and has taken him for a medical examination to support the claim. The defendant’s case is supported by evidence from their insured driver and her husband. Both say that they did not see any passenger. They cite the husband’s experience of health and safety matters, although I am not sure that has any real bearing on the issues in the case. He claims that the first claimant told him she did not have a passenger and that he looked into the car when only a few feet away with a clear view of the front passenger seat and that there was no one there. The second claimant gives some detail as to why he was in the car and where he was going. He describes the insured and her husband. The first claimant denies that either witness asked if anyone was in the car. She also denies that either of them approached or looked inside the car. She adds that had they had a clear view into the car they would have seen the second claimant clearly “because he had big, curly hair at the time”. The defendant’s evidence certainly raises a triable issue. This is a case that would simply have turned on the trial judge’s assessment of each side’s evidence once he had heard all the witnesses. Mr Dawes suggested that there was scope for cross-examination of the defendant’s witnesses. I agree, although there is no need to engage in a detailed analysis of the evidence at this stage. It can also be observed that the choice for the judge would be between finding that the defendant’s witnesses were mistaken or finding that the first claimant had deliberately set out to assist her son to make a false claim even after telling the insured’s husband that she had no passengers and had taken him for a medical examination for that purpose. I do not regard the defendant’s case as being particularly strong, but it was nevertheless based upon evidence that was capable of being accepted. Two factors that weigh heavily in the balance for me are the very late stage at which the claim was discontinued and the complete absence of an explanation from the claimants. The claim was discontinued the day before trial. The defendant will therefore have incurred the costs of defending right through to preparation for trial. The defence was filed in January 2017, so the claimants had known what was being alleged for over a year. They had maintained their claim until the last moment. In addition to the expense and inconvenience caused to the defendant, court resources had been allocated for trial. I note that the defendant’s witnesses were prepared to attend trial and did in fact attend court on 14 February 2018. Coupled with the lateness of discontinuance is the fact that no explanation was provided to the defendant or the court. I accept that there may be many reasons why a claimant will discontinue. However, where liability is not disputed save for the allegation of fundamental dishonesty and where the matter is close to trial, I believe some explanation can reasonably be expected. I have also considered the second claimant’s age. He is still a minor. I have considered the fact that he may be caused distress if unfounded allegations that he is lying are put to him. This is something I put in the balance, but I do not feel it is sufficient to outweigh the factors pointing towards allowing the defendant to litigate the fundamental dishonesty issue. I bear in mind that the defendant has incurred costs in defending this claim to trial and has done so because it believes that a false claim has been made. The defendant seeks to enforce recovery of its costs by disapplying the QOCS regime. In the absence of any explanation, it is understandable that the defendant would feel that the late discontinuance was an attempt to avoid that consequence and would feel aggrieved at being deprived of the opportunity to establish fundamental dishonesty and so recover costs. On balance, looking at all the circumstances of this case, I consider that it is reasonable for the defendant to be given the opportunity to put forward its evidence and to test the claimants’ evidence on the issue of fundamental dishonesty. I do not say that a decision in this case not to direct the determination of the fundamental dishonesty issue would be perverse. I regard the position as quite finely balanced. The defendant’s case may well not succeed. It all depends on an assessment of disputed factual evidence. For my part, any reasonable explanation for the late discontinuance may well have tipped the balance the other way.